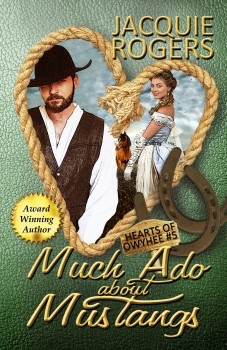 Much Ado About Mustangs (Hearts of Owyhee #5), my June 1 release, is an interesting mix of elements that you might not associate with the Old West, but they were there. I’ve just spent about 20 hours working on the final draft and getting the book on Amazon, which didn’t leave much time for a carefully researched blog article, so here’s an overview. Today, the American media is filled with the day to day trivia of the British royal family, and folks of the Old West—all right, some folks—were fascinated with British aristocracy. Many second sons were sent to America. Some did well and some made fools of themselves just like the rest of those who immigrated. Some tried to establish versions of their homeland, some went native. My heroine, Pearl Jane Evans of Kentucky, tours as Lady Pearl Montford and is famous all over the nation. This wouldn’t be much of a stretch, as people have always looked for an angle. This angle worked for her very well. If you go to a rodeo of any size today, you’ll probably see some trick riding. When I was little, I loved, loved, loved to watch trick riding. Still do. It seems like such a Western thing. Turns out, it’s a Cossack thing. Who knew? It always amazed me what the riders could do on a horse—vaulting, Roman riding, and such. And of course the most exhilarating trick to watch was the Cossack Death Drag. That’s where the rider hangs by one foot, her backside against the horse’s ribs, and her hair drags the dirt, all while the horse is at a full gallop. Pretty incredible! It’s one of those “don’t try this at home, kids” kind of things, but of course we did. The results weren’t pretty. In the late 1800s, equestrian shows were wildly popular. Hence, the fictional Great Dmitri and the Royal Cossack Equestrians were born. Trick riding came from the Cossack tradition and these maneuvers were designed for cavalry use in wartime, not for show. Pearl does a couple tricks, but expedient to the situation at hand, not in exhibition. And here’s a secret—I had a hard time keeping my mind on the writing the story during those parts because YouTube’s Cossack riding was just too alluring. Friesian horses are beautiful animals—sleek black, lush manes and tails, and they’re downright showy since they’re high-steppers. Search for ‘Friesian horses’ on YouTube and you can see them in action. This breed was originally developed to carry knights in shining armor, but then were later bred to be draft horses after armor became obsolete. They’re still used today for carriage horses, saddle horses, and dressage. They’re often used in the entertainment business because of their elegance. Actually there are more references in my book to Friesians than mustangs, but wild horses do cause a bit of havoc for Josh and Pearl. Owyhee County is home to a lot of mustangs—both my dad and my grandpa rode them. Dad’s mustang was named Rocky and Grandpa’s was Maverick. Neither were tame enough for inexperienced riders, but both could negotiate just about any trail in the hills. Mustangs make wonderful trail horses—they’re smart (very smart! ), agile, and surefooted. Or is she? Lady Pearl Montford has performed in theatres all over the West for crowds of all sizes, but what would the world say if her secret was found out—that she's really plain old Pearl Jane Evans from Kentucky. To make matters worse, Pearl's past life as a professional trick rider is floating to the surface thanks to an unsavory suitor from her past who wants either her—or $10,000. 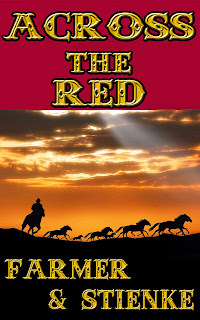 Rugged Josh McKinnon has a ranch to build and blooded horses due in any day, but there's one problem standing between him and his dream—Lady Montford, a high-falutin' diva actress. Wrangled into playing opposite the snooty Brit in Shakespeare's ‘Much Ado about Nothing,’ Josh has to put his ranch on hold and put up with her nonsense for two weeks. Only thing is—how can he focus on his ranch when all he can think about is the way Pearl sits a horse? Much Ado About ... Love? With a slew of critters causing stirs left and right, meddling family members and townsfolk playing cupid, and horse rustlers causing a ruckus, Pearl and Josh have a heck of a time keeping their minds on the play and their hands off each other. When the dust settles and the curtain falls, will Pearl and Josh be able to overcome the odds working against them and find love in the wild Idaho countryside? Post-operative infection was the most formidable obstacle to the advance of surgery right up to the mid-nineteenth century. Almost every wound, whether the result of accident or surgery would suppurate. That means it would become inflamed and produce pus. It was pretty well accepted as being inevitable. The Romans are renowned for their organisation and their documentation. 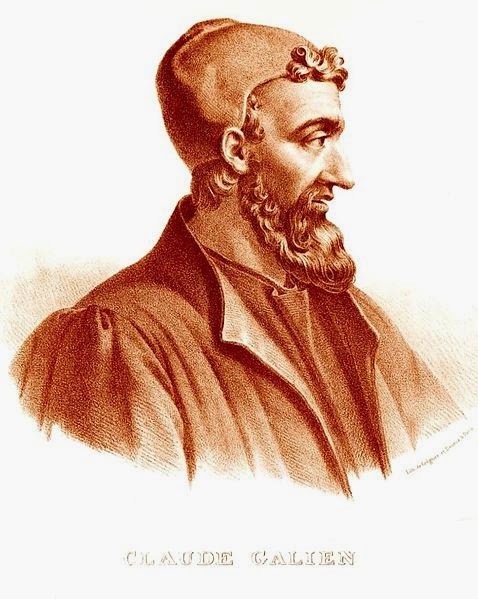 The great Claudius Galenus of Pergamum ( AD 131 -201), better known as Galen, was a Greek physician whose views and teachings dominated European medicine for over a thousand years. At the very core of his teaching was the Doctrine of Humors, which had first been established by Hippocrates. Essentially, it was believed that there were four fundamental humors or body fluids which determined the state of health of the individual. These humors were blood, yellow and black bile and phlegm. 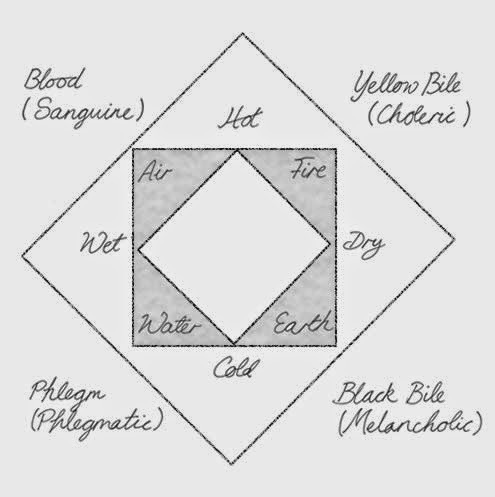 Aristotle had taught that the humors were associated with the four elements of air, fire, earth and water, which in turn were associated to paired qualities of hot, cold, dry and moist. Thus, earth would be dry and cold, water would be wet and cold, fire would be hot and dry, and air would be wet and hot. The fluids were each seen to have main organs of the body that they governed. Thus, blood flowed through the heart and imbalance could cause heart troubles, water flowed through the brain and imbalance could similarly cause brain conditions. Yellow bile flowed through the gall bladder and black bile was thought to flow through the spleen. Galen developed the Doctrine of Humors further and taught that a proper balance of them was necessary for health. An excess of any humor could be treated by reducing a quality, or by reducing a humor, eg bleeding the patient or giving enemas, or treating with various Galenical drugs. An example of a Galenical would contain cucumber, which has cooling properties, because it naturally contains salicylates. The individual’s temperament could also be discerned according to their balance of humors. Thus, sanguine individuals were perceived to have excess blood, choleric individuals had excess yellow bile, melancholics had too much black bile and phlegmatics had excess phlegm. As a philosophical system it had much to commend it and seemed perfectly plausible. People prone to diseases like the plague were thought to be those of hot temperaments, that is, the sanguine and the choleric. 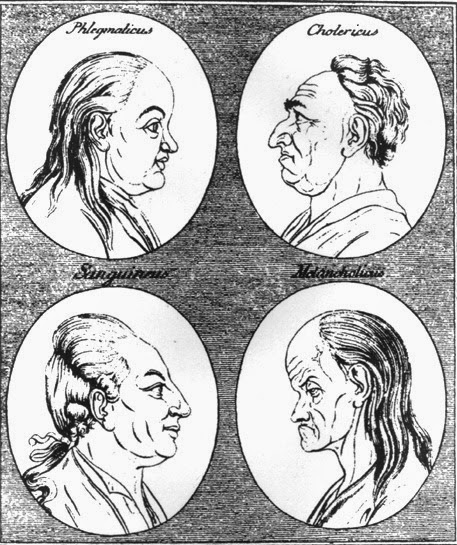 They swede believed to have larger pores which allowed whatever caused plague to enter their system. 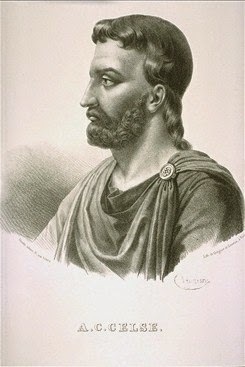 Aulus Cornelius Celsus (25 BC - AD 50) was a Roman encyclopedist and patrician, but it not thought to have been a doctor. Nonetheless, his only extant work, the De Medicina, is the only surviving section of a much larger encyclopaedia. It is a primary source on diet, pharmacy and surgery and related fields. Like Galen's work it was influential for many centuries. His description of the four cardinal signs of inflammation are still taught today. When any part of the body becomes inflamed it will exhibit these four features. Celsus's work was rediscovered by Pope Nicholas V and in 1478 became the first medical author to be printed in movable type after Gutenburg's invention. It did not matter how carefully a surgeon performed an operation or how many times a wound was changed, the pattern of infection was almost always the same. It would go through the four cardinal signs as described by Celsus. First to develop would be the redness and swelling. Pain would come as the tissues swelled and the part became warm. Then the patient's temperature would rise and the pulse rate would increase. Then pus would develop and would often seep between the stitches of the wound. About a week later, in a relatively uncomplicated case, the pus would clear up, the redness would subside as the temperature and swelling started to reduce. That is what the doctor would tell the patient was likely to happen. Now this is the interesting thing, a patient treated for such a problem at home was likely to follow this pattern, whereas a patient treated in a hospital was far more likely to develop a complication. There are all sorts of potential complications after any operation, but complications of an infected wound could depend upon what organism was causing it. although people were aware that there were such things as micro-organisms, as I discussed in the chapter on The Fight Against Infection, they did not recognise that micro-organisms actually caused the problem. thrombosis - blood clots forming in leg veins, with a risk of spread to the lungs as a pulmonary embolism. lockjaw - this is the old name for tetanus, which we know to be caused by the bacterium Clostridium tetani. Painful spasms occur. This usually starts in the jaw muscles, but spreads to the whole body. Opisthotonus is the name given to painful spasm of the spinal muscles, resulting in arching of the body. 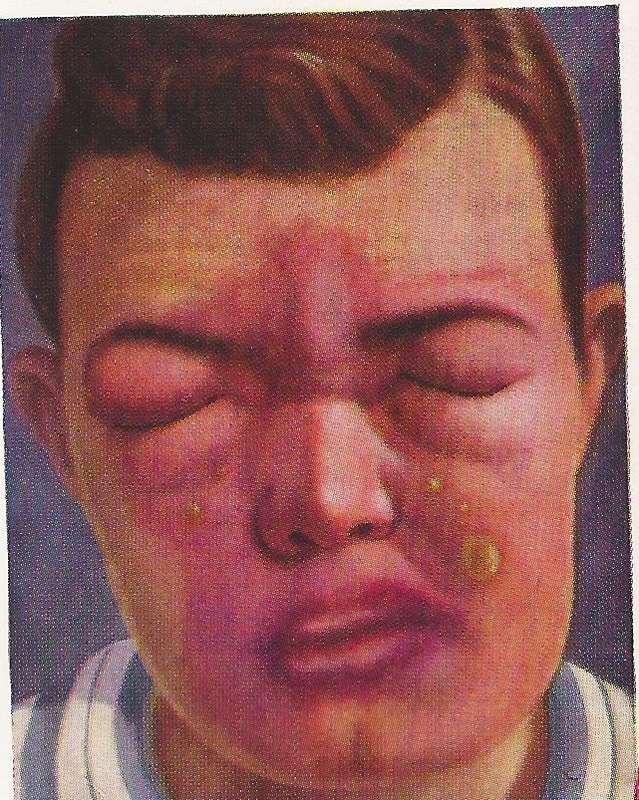 erysipelas - this used to be called St Anthony's Fire, because of the burning intensity of the skin rash that it produces. it is caused by a Group A Streptococcus. It could occur on the face or anywhere that the infection gets into the body. The rash is large, has a raised edge and spreads rapidly. It made the person feel extremely unwell, with fever, intense pain and drowsiness. Septicaemia could occur resulting in death. Lord Carnarvon, the joint discoverer (with Howard Carter) of the tomb of Tutankhamen died from it after nicking an infected insect bite on his cheek. The outlaw Doc Middleton also died from this after being arrested in his own saloon after a knife fight. He contracted erysipelas in jail and died. Septicaemia - spread of infection to the blood. In pre-antibiotic days this was a common cause of death. Pus is the name of white or yellow inflammatory fluid. It can be very thick depending upon what is in it. It is found inside abscesses and boils. It is a Latin word. It is made up of tissue fluid, white blood cells, living and dead bacteria and tissue debris. Before the Germ Theory surgeons regarded pus as a manifestation of the body's healing process and they thought it was a necessary nuisance. They referred to it as laudable pus.' After the Germ Theory they realised that it was a sign of infection. One of the oldest surgical maxims is 'Ubi pus , ibi evacua.' It is Latin and it means, 'where there is pus, let it out.' In other words if pus is collecting as an abscess you incise and make an opening for it to lave the body rather than working its way inside to produce sepsis or septicaemia. 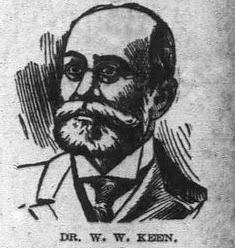 Keen was, however, quick to adopt the aseptic techniques of Lister and he went on to become one of the foremost surgeons in the USA, with an international reputation. Dressings were made of gauze or lint during this period.Lint was made by scraping clean cloth. During the war raw cotton was also used. Disinfectants were also used when they were available. They were not used as a preventive measure though, but applied to clean up afterwards. 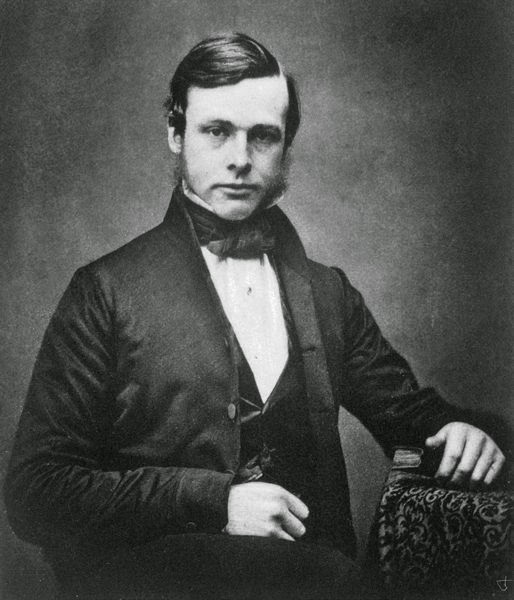 The American Medical Association had a meeting in 1864 at which they discussed the Ventilation Theory. They proposed the notion that ventilation had been the great lesson of the war. Essentially, if the operation was performed with adequate ventilation, even being conducted in the open air there was less risk of infection because the 'noxious effluvia' that caused disease was dispersed. They advocate using disinfectants. Among the disinfectants listed by the sanitary Commission were chlorine and charcoal, potassium permanganate and Labbaraque's solution of sodium hypochlorite. The latter was used on leg ulcers, suppurating sores and gangrenous wounds. In 1854 he became a dresser (a junior assistant) to Professor James Syme at Edinburgh University in Scotland. He subsequently became his assistant and his son-in-law. When he became the professor of surgery at Glasgow University he set his mind to addressing the problem of post-operative infections. He was aware of the work of both Ignaz Semmelweiss and Louis Pasteur and began exploring ways of adapting their findings to surgery. Carbolic acid had been used to reduce the stench of fields that had been irrigated with sewage. Since livestock that grazed on the fields showed no ill-effects he deduced that it could be used as a disinfectant. He therefore started to experiment by spraying surgical instruments, the incision site and the surgical dressings with carbolic acid. 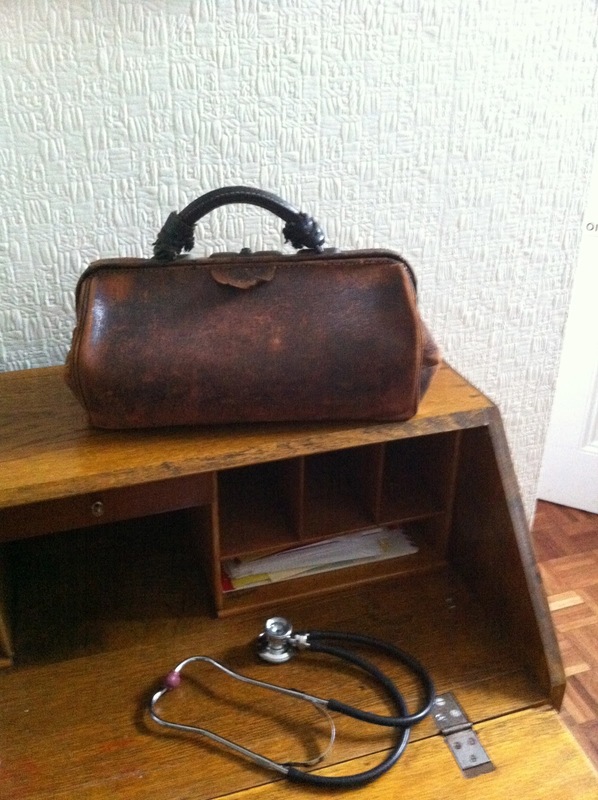 He also insisted that doctors should wash their hands before and after in a 5 per cent solution of carbolic acid. His infection rate dropped dramatically. 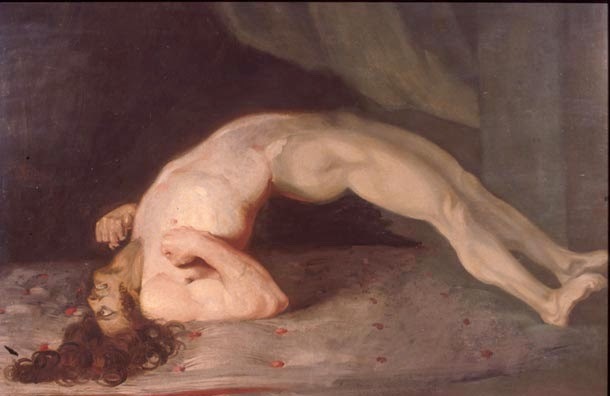 Then in 1865 he applied carbolic acid dressings directly to the wound of an 11 year old boy who had been run over by a cart and sustained a compound fracture of his leg. The dressing was changed after two days without signs of suppuration. Six weeks later the leg as completely healed. 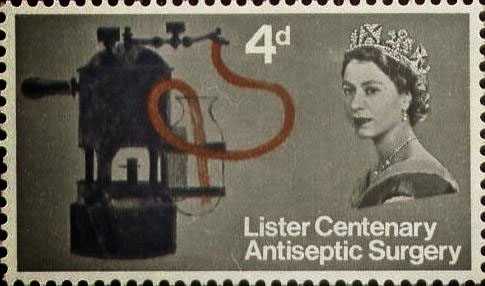 Lister wrote a series of articles which were published in The Lancet and the medical profession took up his lead and the era of aseptic surgery began. He invented a carbolic acid steam spray for the purpose, which emitted a yellow, sweet, tar-like smelling mist into their around the operation. These sprays were fairly cumbersome, weighing around 4.5 kg. Soon surgeons all over the world were using them. During my teens, my family took a road trip through Colorado. We took many road trips over the years, usually ending up somewhere out west. On this particular trip, we attempted to reach the summit of Pike’s Peak in a 1973 Gran Torino similar to the one driven by Starsky and Hutch, but in an embarrassing shade of green that was far to the other end of the cool spectrum. Like most cars built in the 70s, the Torino’s front end contained enough molded steel to replate the USS Monitor. We called it The Incredible Hulk. My dad drove up the snaking, narrow gravel road at only a couple of miles per hour and, somewhere above the tree line, the incline became so steep that he could no longer see over the hood. He made the desperate decision to turn around with only two miles left to the peak. There was the sheer rock face of the mountain on one side of the car and very, very thin air on the other. Somehow, he managed to disregard the screams of my mom and jockey the Hulk back and forth, inch by inch, until it was pointing grille-down toward the earth’s surface. 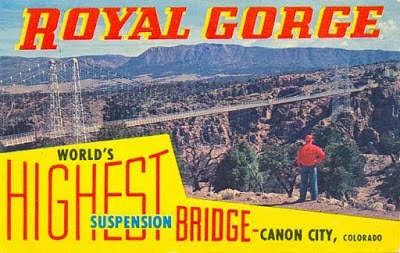 Thus defeated, we headed for the Royal Gorge Bridge near Cañon City. 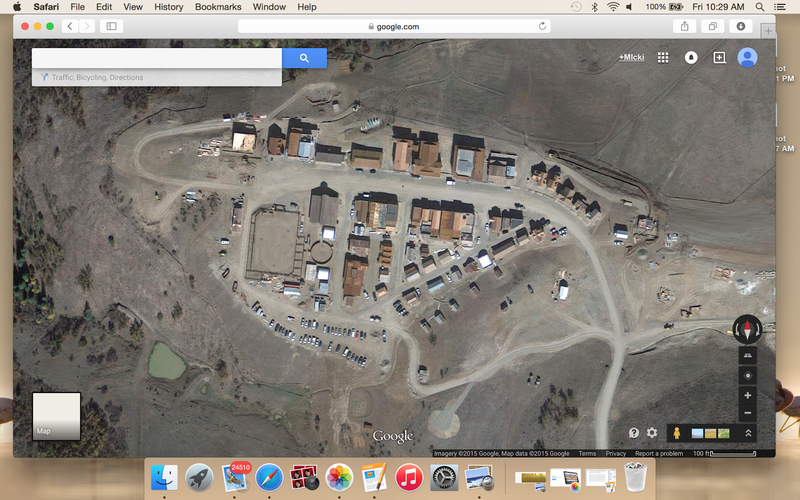 We were delighted to find a full-scale western town called Buckskin Joe nearby. The town, originally built in 1957 by MGM Studios, had been the backdrop for many a western movie including Cat Ballou, True Grit, The Cowboys and Comes a Horseman. We explored the gravity-defying Mystery House, witnessed a couple of thrilling gunfights and bought ourselves onto the front page of the local newspaper, printed especially for us. 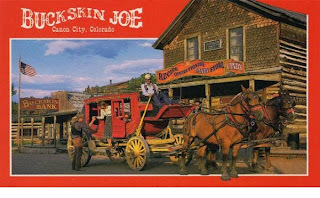 I held such good memories of Buckskin Joe that I decided to return there this summer on my own family tour of the west. (This time I’m the screaming mom.) Imagine my shock and despair when I discovered that the town of Buckskin Joe has not only closed for business but has COMPLETELY VANISHED. O Buckskin Joe, where art thou? After some investigative reporting, I learned that the entire town–lock, stock and boardwalk–was purchased in 2012 by billionaire William “Wild Bill" Koch. He is known as the eccentric sibling of the energy magnate Koch Brothers (pronounced coke) who happen to own the second largest private company in America. Even though Bill left the company years ago (and subsequently haggled with his family in court over the settlement), he still has plenty of riches to pursue his interests. He famously won the America's Cup the first time he entered in 1992. Undoubtedly, his hottest pursuit has been the acquisition of over a million and a half western artifacts including guns that belonged to Wyatt Earp, General George Custer, Sitting Bull, Jesse James…and even the gun that killed Jesse James. 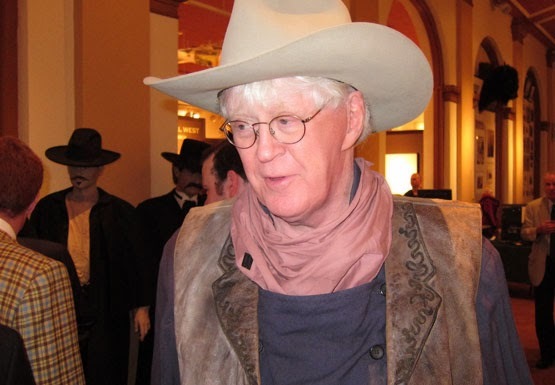 Bill Koch paid $2.3 million in 2011 for the only known photograph of Billy the Kid. He owns countless stagecoaches and wagons, military and Native American garments, Alfred Bierstadt and Charles Russell paintings, Frederic Remington bronzes and the flag thought to be flown at Little Big Horn. Read more about his amazing collection here. So where’s a billionaire gonna keep all his western stuff? In his own western town, of course. Bill Koch purchased all thirty-some-odd buildings of Buckskin Joe with the intent of housing his massive collection in a living museum setting. The town was dismantled and rebuilt on his 4500-acre Bear Creek Ranch near Paonia, Colorado. Other structures found here and there bring the total to more than fifty historic buildings on the property. I don’t suppose my family will be driving up to the gate, Griswold style, to gain entrance to Koch’s western wonderland. With 24-hour surveillance and security guards standing by, public visitors are expressly unwelcome. Apparently, only his billionaire friends are allowed to come over and play cowboys and Indians. 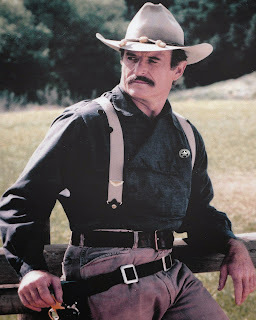 Dang, I wonder if the old boy likes to read western books? Hmmm. Let’s take a stroll along a nostalgic musical path for a brief look at the history of a song (melody, not lyrics) whose origin remains somewhat of a mystery. Perhaps this song was a traditional folk tune handed down through the generations. Maybe it was “born” in 1924. 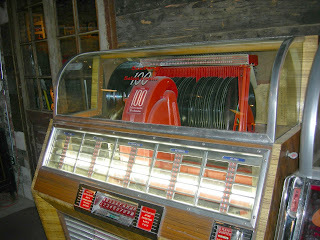 However it came about, over the years, this melody has experienced a host of lyrics put to its familiar, catchy tune. While many singers recorded their versions of this song, between 1924 and 1952, this melody saw significant renditions of different lyrics and each new song enjoyed chart-topping hit status in the country music, hillbilly, bluegrass, and gospel music genres. Legend has it that in 1924, Vernon Dalhart copyrighted this song and lyrics in the name of his cousin, Guy Massey, after Vernon heard it sung by a family member who “may” have learned it while serving time in prison. This song went on to become a bit hit in the 1920s. In 1925, two songwriters/performers, Welby Toomey and Edgar Boaz, recorded their lyrics to this melody. 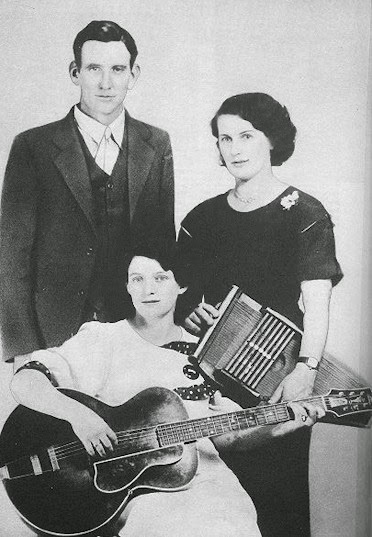 In 1927, Roy Harvey and the North Carolina Ramblers released their version with a similar, but abbreviated title to the one the Carter Family would release in two years. In 1929, the famous Carter Family recorded their version of this melody, but with different lyrics and title. In 1936, it was Roy Acuff who had a hit with the same melody and, again, different lyrics and title. Then, in 1952, two country music artists—Hank Thompson and Kitty Wells—had hits with this same melody, and both with different lyrics and titles. So, did you *Name that Tune*? Over the years, these songs not only achieved ‘country music standard’ status, they have achieved ‘signature song’ identification for many musicians. 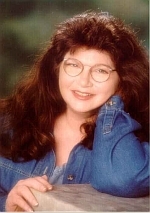 Johnny Cash, Marty Robbins, Hank Locklin, Waylon Jennings and Jessi Coulter, Freddie Fender, Burl Ives, and Jerry Lee Lewis rank among the artists who come to my musical memory as having performed some version of this melody. I imagine you have your favorites, also. A YouTube search will bring up a host of videos for each of these songs, and I am going to leave you with the one I associate the most with this tune. June is coming upon us in a few months, along with the season for weddings -- which got me to thinking. 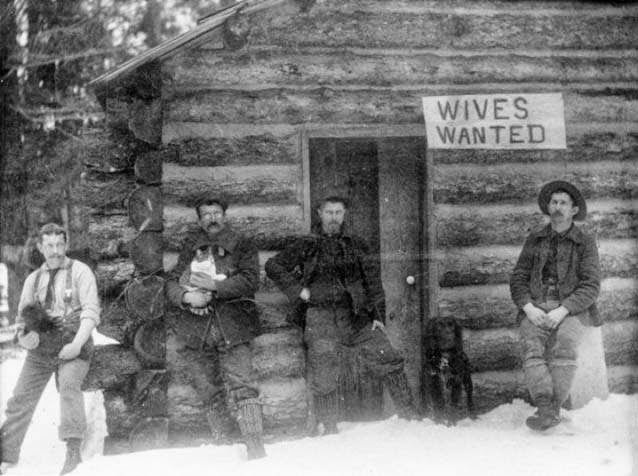 Just how common were mail order brides in the Old West? Think about the issue this way. After the Civil War, widows and young women outnumbered eligible men in the East. And out west, eligible men vastly outnumbered the few women who'd already followed the call of the gold fields. So yes. The newspapers had a field day with advertisements for brides willing to travel west, the mail thrummed back and forth between eager bachelors and respectable (or not so respectable, depending on the situation) ladies in small towns out east. Like the internet today, both sides often "doctored" descriptions and/or photographs in hopes of snagging a partner. Disappointment often reigned, of course, and at times men waited in vain for a promised bride - who turned in the ticket for money instead of undertaking a journey. 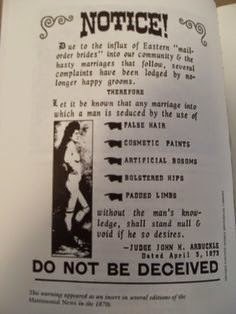 Some newspapers printed notices such as these. 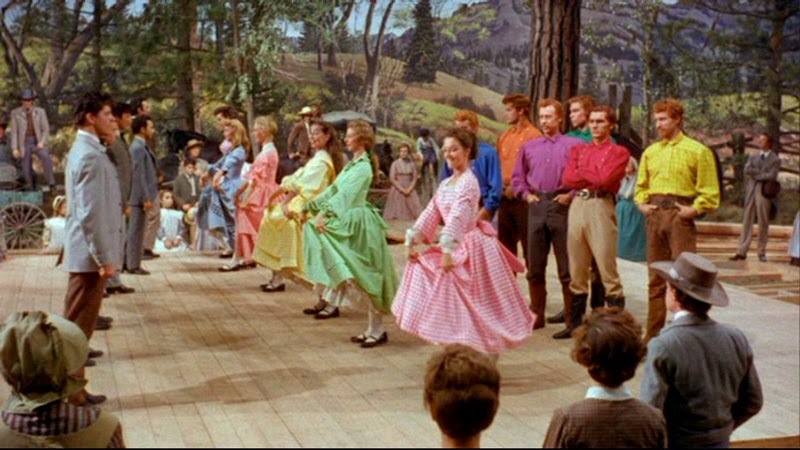 And who doesn't love the film Seven Brides for Seven Brothers? Adam seeks a bride one day in town, snags Millie by pure luck - who envisions a wonderful life with the handsome, sweet talking backwoodsman, but ends up being cook, maid and teacher-of-manners to his six brothers. They soon want their own brides, of course. It's pure fun, and the barn dance is the best part. 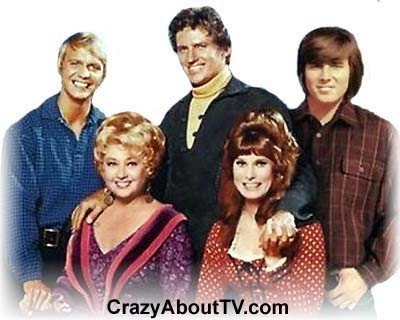 In the 1860s, Asa Mercer promised to import women of marriageable age to Seattle - and that history inspired the popular television show, Here Come the Brides (along with the film Seven Brides/Seven Brothers). A set of three brothers bet their tract of timber against the sawmill owner's offer to fund the expenses; the businessman has eyes on that land and timber, of course, while the Bolt brothers have a difficult time convincing the women of Massachusetts to leave home. It's more pure fun, and inspired lots of young girls in their teens to worship at the feet of Bobby Sherman and David Soul. Oh yeah. Okay, back to the mail order brides issue. Fred Harvey himself played matchmaker, hiring single women "of good character" who could work in his cafes along the railroad. The businessman kept strict standards, however, that the women must work as waitresses for a year; they were chaperoned while men visited in special "courting" parlors, and had to live in special dormitories. Between 4,000 and 5,000 women ended up marrying by first working as Harvey Girls. 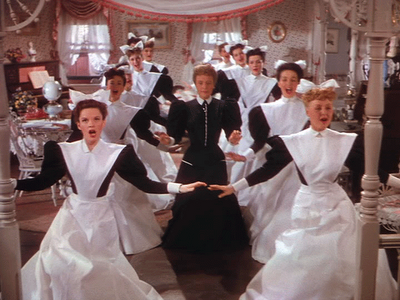 This also spawned the Judy Garland hit, The Harvey Girls. While the plot seems silly, they did get the uniform right. Some immigrants also utilized ways of procuring brides, either through letters or matchmakers. Russian men paid fees to obtain potential wives, steeped in tradition from their old homes; Chinese and Japanese did the same, asking their parents to act as brokers to get a bride, sight unseen or via a blurry photograph. Such pressure from parents sent Asian women across the ocean, or else chose to escape starving to death. 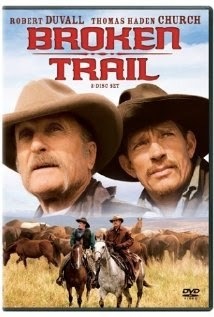 The recent TV mini-series, Broken Trail, starred Robert Duvall and Thomas Hayden Church and wove a group of Chinese women brought over as brides - or so they believed. 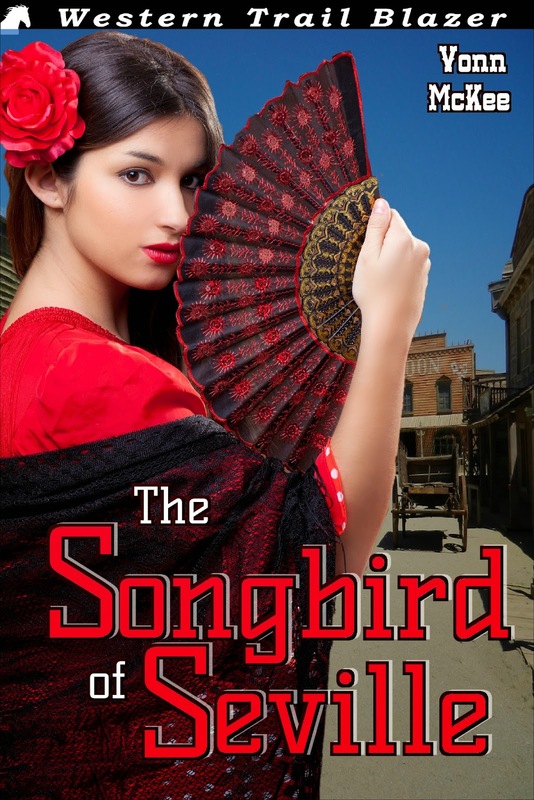 The theme of mail order brides remains popular in novels. Do a search on Amazon or B&N using that keyword, and you can scroll through 100 pages of offerings. One anthology includes our own Western Fictioneers member Cheryl Pierson in Lassoing a Mail Order Bride - published by Prairie Rose Publications - which sounds really interesting. "A woman would have to be loco to become a mail-order bride... wouldn't she? Leaving everything behind and starting fresh in the untamed west is the answer to a prayer for these ladies!" Check it out. 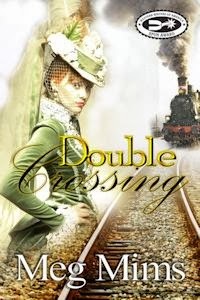 I used the offer of a train ticket, the promise of a wedding, a nice house with husband and family, as a subplot for a minor female character in Double Crossing. 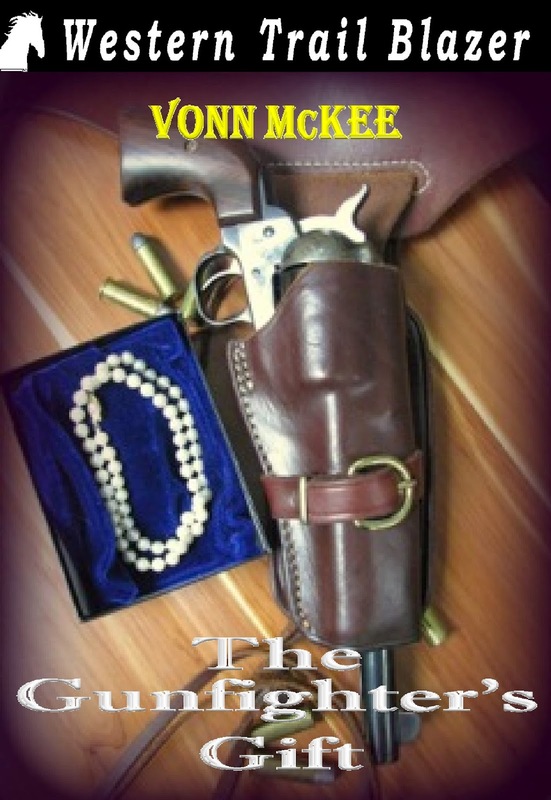 Check out my novel if you haven't read my western historical mystery with the "True Grit on a train" major theme. Sources: Encyclopedia of the Great Plains, Guidelines, and Pinterest. 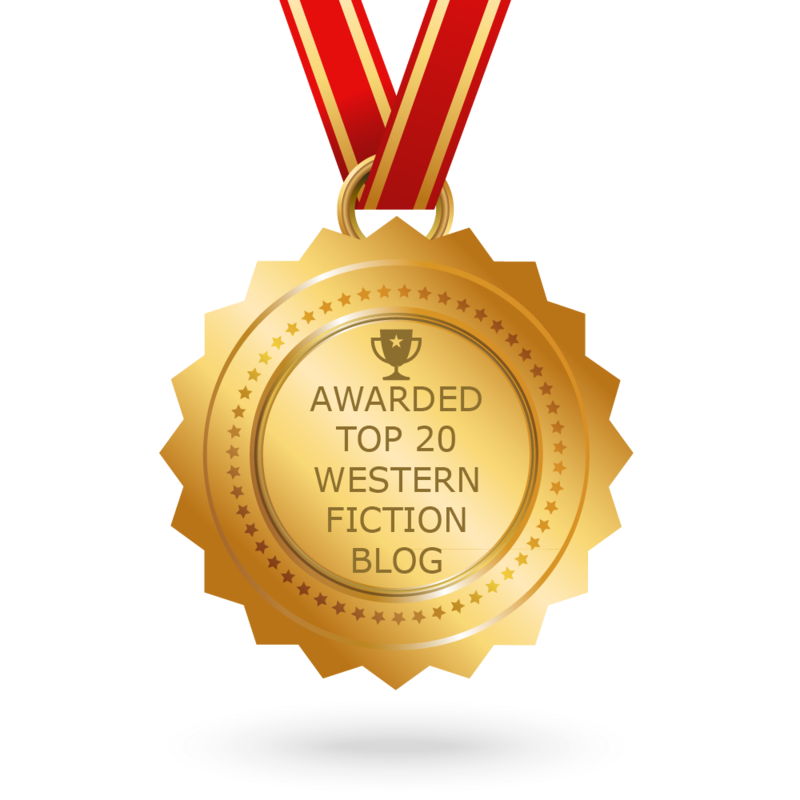 Mystery author Meg Mims earned a Spur Award from WWA and also a Laramie award for her western historical mystery series, Double Crossing and Double or Nothing. Meg is also one-half of the writing team of D.E. Ireland for St. Martin's Minotaur mystery series featuring Eliza Doolittle & Henry Higgins -- lives in Southeastern Michigan with her husband and a sweet Malti-poo. 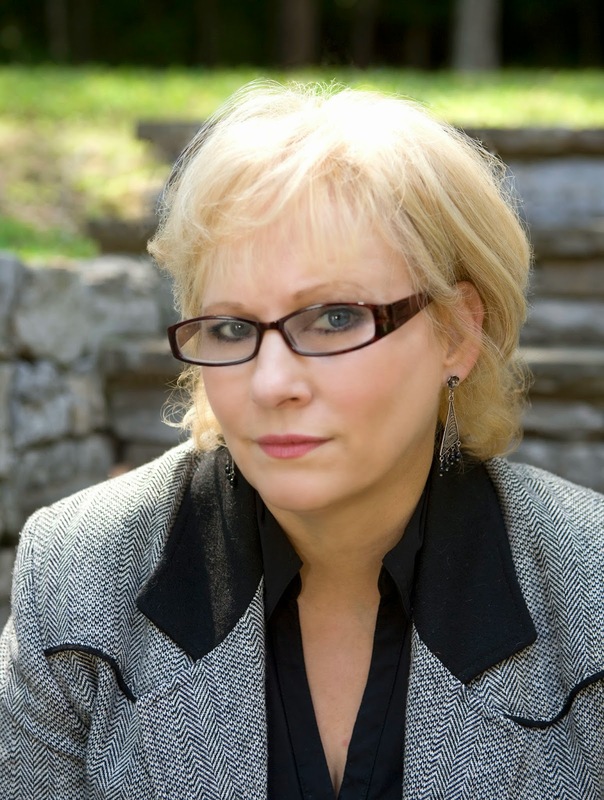 She loves writing novels, novellas and short stories, both contemporary and historical. Follow her on Facebook, Twitter & Pinterest! In the mid and all the way to the turn of the century, there was an area in northern Cooke County and Grayson County, Texas called the Delaware Bend. At one time, it was known as one of the three most dangerous and deadly areas in North America sharing that honor with Leadville, Colorado and Tombstone, Arizona. Stories are a place to hang knowledge on. 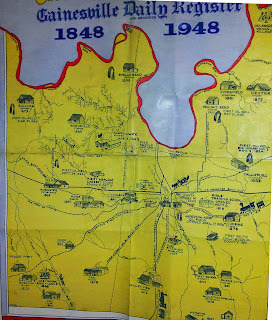 Originally part of Fannin County, it was included in Grayson County when it was established in 1846 and was finally split with the western half of the big loop in the Red River going to Cooke County in 1848. The entire area was bounded on the west with the Chisholm Cattle Trail and on the east with the Shawnee Cattle Trail. The Shawnee—also called the Texas Trail is today known as Preston Road—used the crossing at Colbert's Ferry. It was the only decent crossing of the Red until you got to Sivells Bend in Cooke County or Red River Station in Montague on the west. 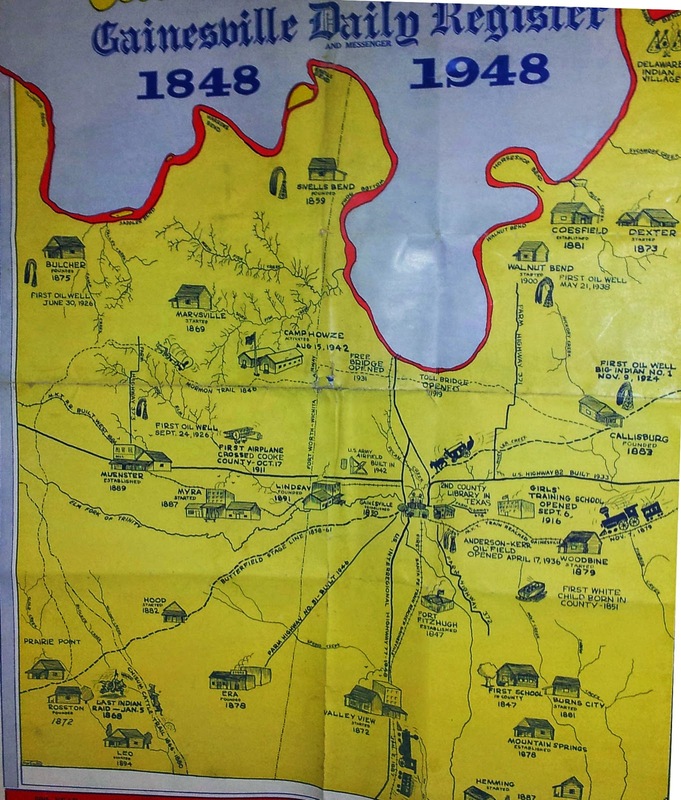 It was important in that it was the primary crossing between Texas and Indian Territory from about 1850 to 1899 for both the Shawnee Cattle Trail and the Butterfield Overland Mail route. There were still Indian villages in the area when Texas declared its independence in 1836. The primary tribe was known as the Delawares. In 1842 a treaty was drawn that would exclude Indians from the land east of the Cross Timbers—an unusual strip of forest ranging from five to thirty miles wide that ran from the Arkansas River on the north some four hundred miles south to the Brazos. Well, it seems the Cross Timbers and the land west ran smack dab across the Delaware Bend. wrote about it wants it to be. There were many sightings of William Clarke Quantrill, Bloody Bill Anderson and later, the James Gang in the Bend area in and around the town of Dexter. The natives tell the story that Jesse would give some of the local boys fifty cents to keep an eye out for posses. they don't think there's a chance in hell. Dexter was a booming town until the railroad from Denison to Gainesville and points west went south through Woodbine instead of Dexter as was projected—the town kinda died on the vine after that. But that's another story. Here's some pics of the Dexter Hotel, both back in the day and recently. It was still standing seven years ago when I was up in that part of the county doing some research…it looked haunted. A Colonel W. D. Young owned much of the fertile land along the river bottom, including a settlement known as Shawneetown. He turned it into a landing for cotton barges. He also served one term as a US Marshal and is known in Texas history as a Confederate hero who was ambushed Oct. 16, 1862 in events leading up to what is known as the largest mass lynching in American history—The Great Hanging in Gainesville, Texas. Writers learn to write by writing. 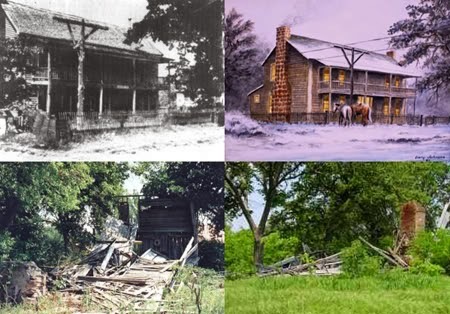 The Delaware Bend remained a gathering area for outlaws on the scout until the Lee Gang—brothers, James, Pink and Tom, along with Ed Stein—with their huge rustling operation, were shut down. 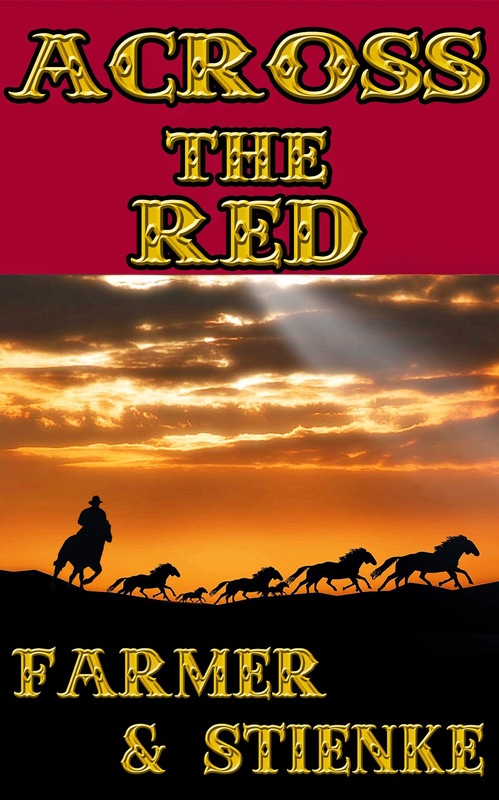 James, Pink and Tom are key antagonists in our latest Bass Reeves novel, "Across the Red". What's left of Delaware Bend—at one time some of the best farming land in Texas—now lies under Lake Texoma. There are a couple of houses and a feed store still left in Dexter along with a very interesting cemetery and the pile of old boards and a brick chimney that once was the Dexter Hotel. BEWILDERED - Perplexed or confused, mystified; dazed. ADDLED - To make or become confused. BEDAZZLED - Dazzled to a point of confusion or amazement. BOGGLED - Overwhelmed with astonishment. BENUMBED - Feeling totally stupefied. CONFOUNDED - Brought into confusion. CONFUSED - Unclear, addled; lacking logical order. DAZZLED - Deeply impressed, overwhelmed or amazed. FUDDLED - A state of confusion. LOST - Distraught; gone astray. STUPOROUS - A state of reduced sensibility; dazed. BELLIGERENT - Hostile, eager to fight. ACERBIC - Bitter and sharp in speech , manner or temper. ARGUMENTATIVE - Given to arguing; disputatious. BELLICOSE - Pugnacious; warlike in nature. CENSORIOUS - Tending to be critical. CRUEL - Intentionally causing pain or suffering on others. CYNICAL - Believing all people are motivated by selfishness. DISPUTATIOUS - Given to dispute. INDIGNANT - Feeling angry due to some injustice. MALIGNING - To speak evil of; to defame. MALEVOLENT - Exhibiting ill will. SARCASTIC - Given to cutting, ironic remarks. SPITEFUL - To be mean or evil toward another. CHARMED - Attracted to or fascinated with; delighted and pleased. ABSORBED - Totally mentally concentrated; engrossed. ALLURED - Enticed by charm or other attraction. BEGUILED - Misled, diverted; amused or delighted. BEWITCHED - Enchanted; fascinated or captivated. CAPTIVATED - Fascinated by something or someone. DELUDED - To deceived the mind in judgment of. ENAMORED - Inflamed with love. ENRAPTURED - Filled with delight. ENTICED - Attracted by arousing hope or desire; lure. ENCHANTED - Bewitched; to attract and delight. ENTRANCED - Carried away with delight. FASCINATED - Holding an intense interest or attraction for. INFATUATED - Inspired with unreasoning love or attachment. MARVELING - Filled with wonder or surprise. RAVISH - To overwhelm with emotion. SMITTEN - Inflamed with love. SPELLBOUND - Fascinated as if by a spell. CONFUSED - To be unclear in mind or purpose; bewildered. BAFFLED - Frustrated, stymied, thwarted, foiled. DISCOMBOBULATED - A state of being upset, confused. DISCONCERTED - Thrown into disarray. DISTRACTED - Emotionally unsettled; troubled. DUMBFOUNDED - Filled with astonishment and perplexity. GROGGY - Unsteady and dazed. HAZY - Unclear or vague. PUZZLED - Mentally confused with a difficult problem.